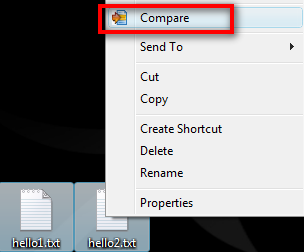 Comparing two text files with WinMerge is simply a breeze and I’ll show you how. 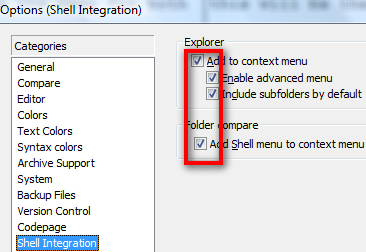 First you will need to have WinMerge setup and tell it to have shell integration enabled for explorer context menu and folder comaprison, which you can do so from Edit > Options. For an example, I have created 2 text files with the first line being different in both files and the second line having the same content. What I would then do is select both files together > right click > compare. Note that this is only good for comparing text files. Files such as .h, .cpp. .vb, .php, .txt, .csv etc are all fine. But not for files that end with .xls, .ppt or .docs as these files contains binary data and are more than pure text. I’ve also blogged about using Notepad++ to compare two text files, but you will have to manually download and install the compare plugin in the newer versions. The conclusion is: Winmerge makes it really easy to compare 2 text files and it’s free!